New Zealand Police Commissioner Mike Bush said police have 250 detectives and specialists involved in the massive probe, which is ongoing. He said police "believe there was only one attacker responsible for this horrendous event" but are still looking into whether or not anyone else was involved in supporting the attack. The threat level in the country remains high, Bush said, and people should expect high visibility from police in the days ahead. Gun City owner David Tipple said on Monday the alleged gunman bought four weapons and ammunition online from the store between December 2017 and March 2018, but it did not sell him the high-powered weapon used in the massacre. Under New Zealand gun laws, A-category weapons can be semi-automatic but limited to seven shots. Livestreamed video of a gunman in one mosque showed a semi-automatic weapon with a large magazine round. Tipple said the online purchases followed a police-verified online mail-order process and the store detected nothing extraordinary about the licence holder. Australia introduced some of the world's toughest gun laws after its worst mass killing, the 1996 Port Arthur massacre in which a lone gunman killed 35 people using a semi-automatic AR-15. "Until today I was one of the New Zealanders who owned a semi-automatic rifle. On the farm they are a useful tool in some circumstances, but my convenience doesn't outweigh the risk of misuse," John Hart, a farmer and Green Party candidate from Masterton said on Twitter on Monday. "We don't need these in our country. We have make sure it's #NeverAgain." Violent crime is rare in New Zealand and police do not usually carry guns. 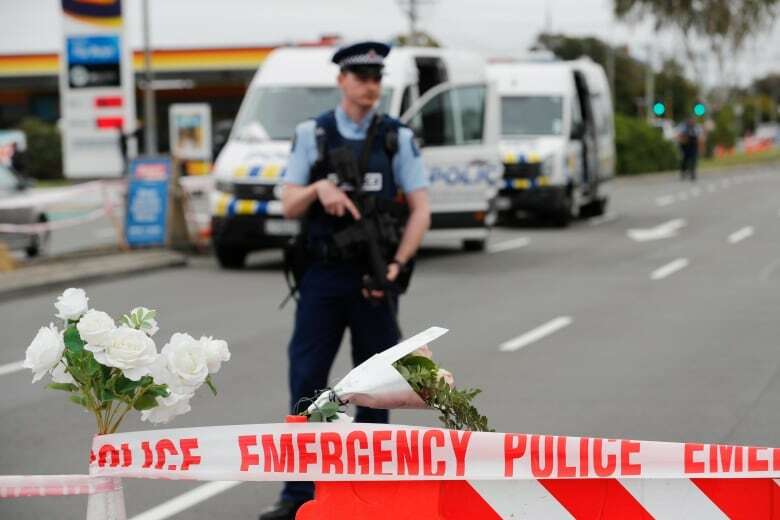 Before Friday, New Zealand's worst mass shooting was in 1990 when a man killed 13 men, women and children in a 24-hour rampage in the tiny seaside village of Aramoana. He was killed by police. 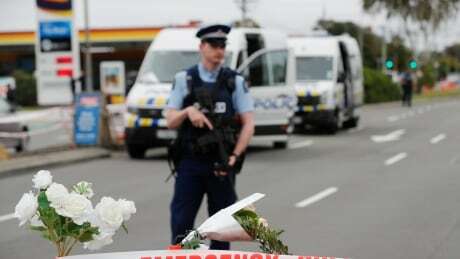 Ardern said an inquiry will be held into what intelligence, police, customs and immigration knew or should have known about the accused shooter and the events leading up to the massacre, to see whether the attack could have been prevented. Ardern said Tarrant had emailed a "manifesto" to more than 30 recipients including her office, nine minutes before the attack but it gave no location or specific details. 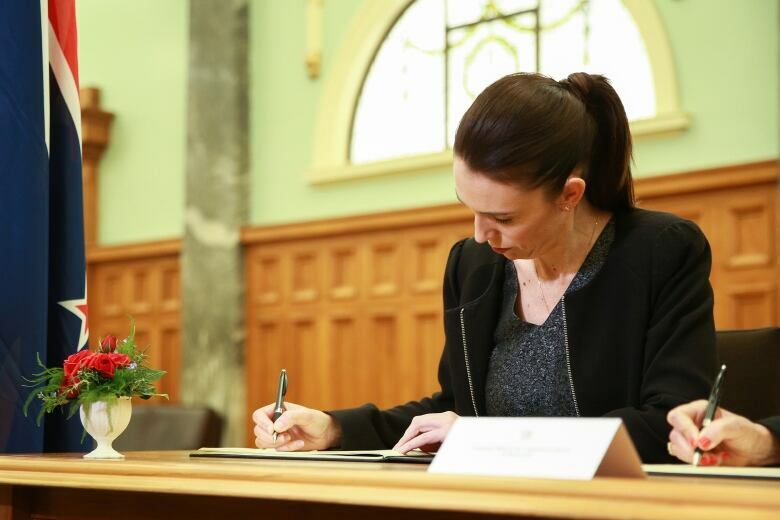 As the outpouring of support for the victims and their families continued Monday, the prime minister was the first signatory of a national condolence book for the country's worst mass killing that she opened in the capital Wellington.